Prep time: 60 minutes to allow time for the grains to cook and 10 minutes just before serving. Serves 8-10 as a side dish (plus leftovers if you’re lucky!). Place one litre of water into a small saucepan and bring to the boil. Add wild rice, reduce heat and simmer with the lid on for 40-45 minutes, until kernels open but hold their shape. Drain and set aside to cool. While rice is cooking, place green lentils and one litre of cold water into another small saucepan and bring to the boil. Reduce to a simmer and cook, uncovered for about 20 minutes, until lentils are soft but still have a nutty texture. Take care not to overcook. Drain and set aside to cool. 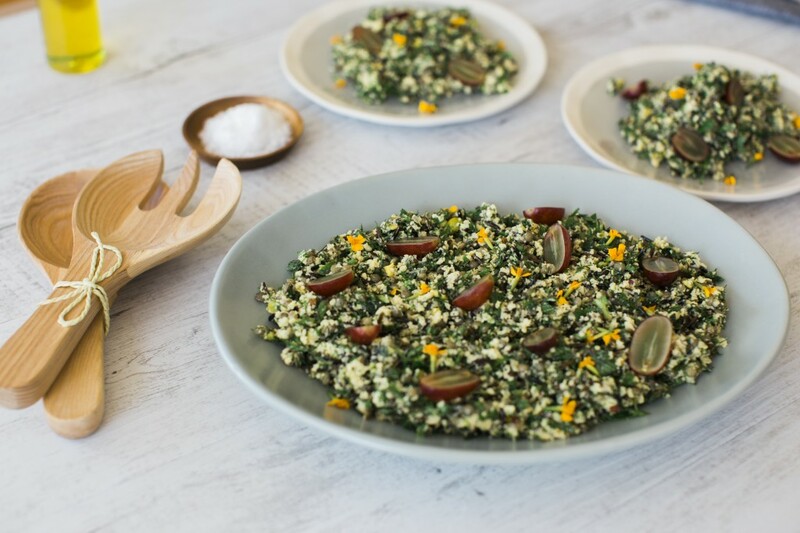 While grains are cooking and cooling, put dressing ingredients into a large shallow bowl, whisk until creamy and set aside. **Just before serving add the chopped pistachios, grapes and roughly chopped herbs. Toss in the remaining dressing and serve, garnished with freshly ground black pepper. Seasoning is essential for this salad. Don’t be shy. We recommend a good quality sea salt, ground white pepper and finish with freshly ground black pepper. **This recipe can be prepared the day before to this stage. To make the final stage easier, chop the pistachios the day before, and wash and pick off the herb leaves. Then all you have to do to finish is halve the grapes and roughly chop the herbs. Viola! We have chosen 3 grains to make the recipe a little easier to prepare. 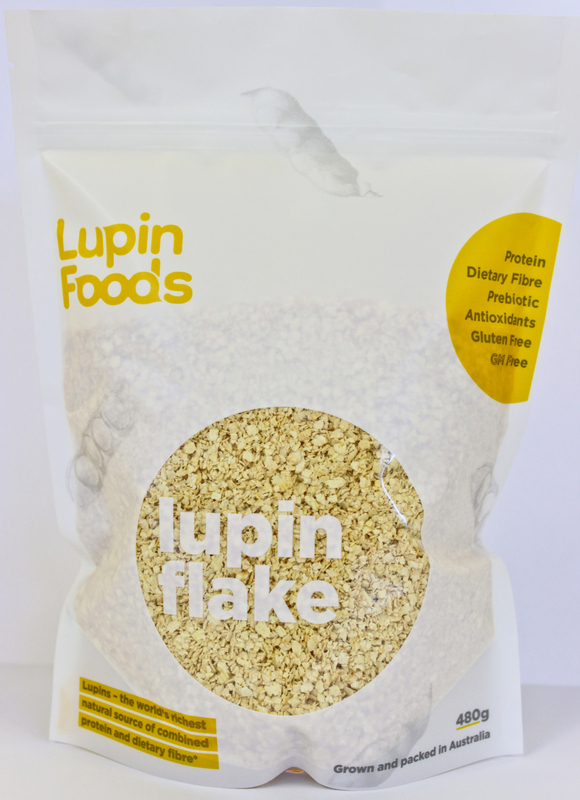 You can add or substitute other grains such as black barley, quinoa, freekeh and other lentils, but keep the Lupin Flake for nutritional balance. Best assembled just before serving but suitable as leftovers for 2-3 days.